Don't worry about lines. Add the boxes, and DrakonHub will draw the lines for you. No need for pixel hunting. Insert elements accurately with one click. DrakonHub takes care of alignment, centering, and spacing. 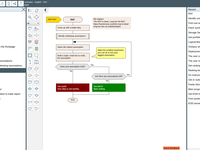 Besides, DrakonHub automatically creates links between diagrams. The links turn fragmented diagrams into an interconnected knowledge base. Pros: DrakonHub allows me, as a content producer, to include elaborate diagrams, charts and graphs into my output. It makes my data more "readable" and less boring for the audience reading our webpage regarding our insurance company. DrakonHub can be easily maneuvered with. 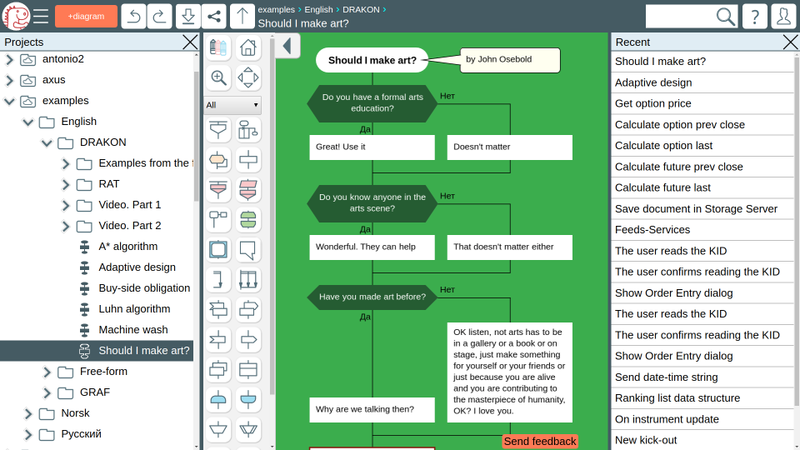 Stable and smooth operation and creation of mind maps. The availability of DrakonHub in mobile is a great addition to its advantages. I even use DrakonHub for personal purposes, like reminders or daily tasks. Cons: It took awhile to understand on how to use DrakonHub since tutorial was not given. It would have been great if the buttons and processes were discussed prior product use. Pros: Its great that examples are provided in English, Norwegian and Russian. Those examples should serve as templates to help a user get started with some real projects. For the seriously technically-inclined people, there is some nice documentation about the language itself. It was fascinating to learn that the language originated from the control systems for the Buran spacecraft. Cons: It might be useful to contain some "next steps" about how to translate the diagrams and flowcharts into functional software. This is asking a lot because there are so many languages and platforms. Overall: I should mention that the website is very well-organized and presents its contents well. The customer service platform appears solid and has multi-language support. Pros: Easy to use, fast and stable. Even quick and dirty drawings get a perfect shape in minutes. The tool is smoothly pushing you to sort your punch of ideas in well ordered wired way. Cons: It would be nice, if you could export your drawings to use it as import for any program language, at least as a program skeleton. The SVG graphs should be a little bit more clean. An import option for JSON, YAML, XML or so would be nice. 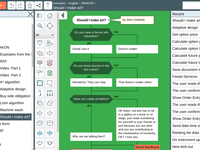 Pros: The DRAKAN editor makes it easy to design, document, communicate and verify workflows, algorithms and architectures. Cons: The initial version I used only had an explicit button to go into scroll-mode. So that was a little clunky, in my opinion. Cons: It would be great to make it easier to copy and paste from a diagram document to others. Now it's available within document. 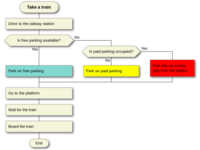 Overall: Being able to, in a couple of minutes, express complex ideas and logical structures to others by sharing my diagrams/flowcharts via Drakon Editor or as images. It's great, saves me many hours of unnecessary work! Pros: Is easy to teach another college how to use program, easy to use for me as well. So, I like simplicity most. Cons: Would like to have ability to insert pictures into icons of program and ability to edit words separately in icons. Overall: I got tool how to write down any business process in way which is easy to understand any person in 3 minutes. Pros: It is intuitive, so one does not need to be a developer to understand a flow. It is culture independent so your colleagues do not need to learn English to read the diagrams. It is web based so you can use it anywhere on any PC with internet connection, no installation required. Even more, it keeps a copy of projects on the server. It provides a variety of saving format options so you do not need to waste your time converting the results. Good examples makes it easier to start using the product. The product can be used in a team work. Cons: In a rapidly changing world it would be convenient being able to compare the projects, so one can see what was changed between an old and a new version. Unfortunatily this funtionality is not yet available. 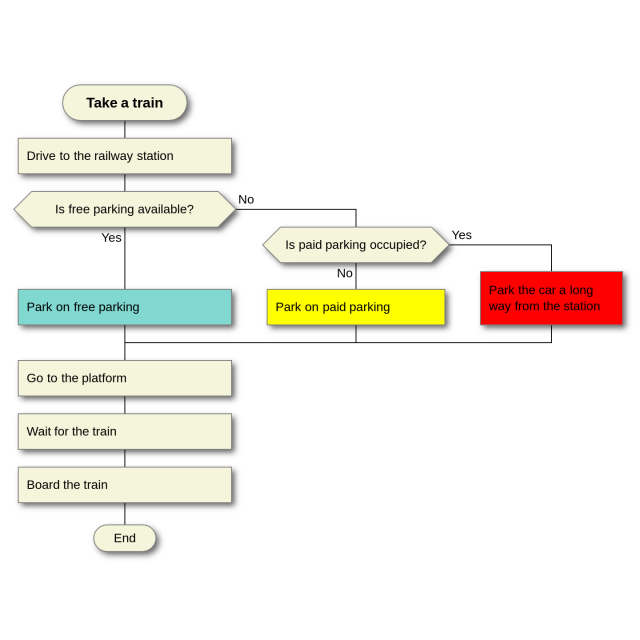 Overall: The software lets me easily create diagrams for other people having limited software development knowledge. It is easier for them to understand a diagram than to read code extracts or text descriptions. Cons: The working area is not that intuitive at first, but you get the thing very fast as you start to work. Overall: A good way to map out strategy and connections between leds, thoughts and findings. I see it can be used for other purposes but i needed it spesificaly for that as a designer. Good that i can change the content of every element and the shape for fast overview. Overall: We recorded the work processes, subordination and work processes of all employees. Pros: The biggest strength is how quickly I'm able to sketch out my thoughts in a diagram. I do not have to worry about formatting or alignment. The application is also a very fast and responsive. Cons: While there is a good amount of examples to show what can be done, it is not always immediately obvious how to do what I want. In particular, rearranging graph edges/lines can sometimes be unintuitive. 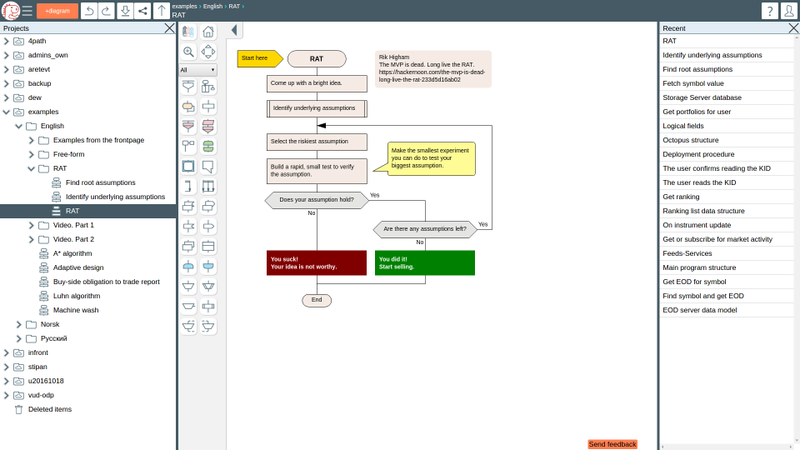 Pros: you do not need to install office/visio to create diagrams and flowchart and easy to create diagram. Cons: Had some problems understanding how I was using the mouse to draw and to use all the functionality there is.